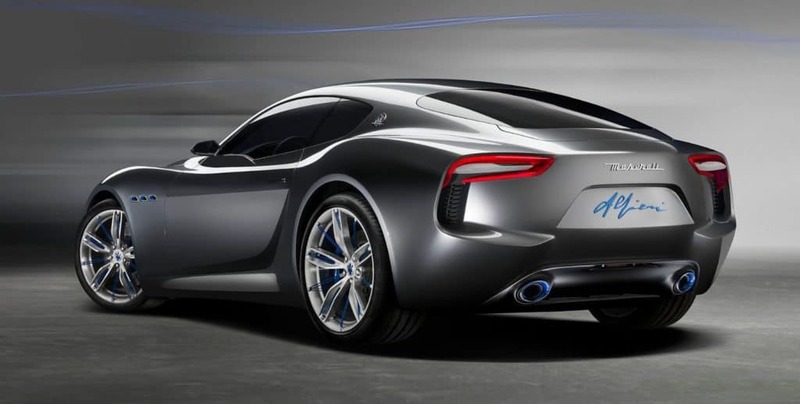 Wednesday, 4th March 2015 – Last night, the Maserati Alfieri Concept was announced as ‘2014 Concept Car of the Year’ at the prestigious Car Design Night in Geneva, organized by Car Design News and attended by the industry’s leading automotive designers. The Alfieri Concept was first unveiled at the Geneva Motor Show 2014; a striking 2+2 concept car celebrating the brand’s centenary, with the name Alfieri commemorating the most prominent of the founding Maserati brothers. The concept car was designed at the Centro Stile in Turin, Italy, masterminded by Head of the Centro Stile Lorenzo Ramaciotti and led by Marco Tencone, who proudly accepted the Car Designs of the Year award on Maserati’s behalf. Due to the overwhelming, positive reaction of the public when the concept was first revealed, the Maserati Alfieri is now confirmed for production and will be followed by a convertible version later on. The Alfieri Concept features in the second Car Design Review yearbook, which was launched yesterday evening at the event in front of top designers who are also featured within its pages. The 184-page hard cover edition takes an analytical look back at the past year of car design and contains an in-depth feature on the winning vehicle design of the year. Car Design News is the leading resource for car designers worldwide. Since 1999 it has provided invaluable information, advice and insights to students and design directors alike thanks to its network of writers and industry analysts, many of whom have contributed to the second Car Design Review book. CDN’s primary presence is online, allowing it to deliver the latest news, reviews and opinions to the design community. In addition to its unrivalled editorial you can find a careers section that has helped place many designers in key positions.